Oscar-winning actress Brie Larson (“Room,” “Captain Marvel”) and Oscar-nominated producer Lynette Howell Taylor (“A Star Is Born”) have made a two-picture worldwide rights deal at Netflix for films produced by Howell Taylor’s 51 Entertainment. Deadline Hollywood reports that Netflix has acquired “Unicorn Store,” Larson’s directing debut, and “Lady Business,” which will be the next film she stars in and possibly her sophomore outing as a director. “Unicorn Store” will premiere on Netflix April 5, which means Larson is going to have a big spring. She will officially join the Marvel Cinematic Universe when “Captain Marvel” opens in theaters March 9. Endeavor Content’s Negeen Yazdi found the Fast Company article by John Paul Titlow on which “Lady Business” is based. It tells the fact-based story of two young female entrepreneurs, Penelope Gazin and Kate Dwyer, who had to invent a third male company founder in order to be taken seriously in the business world. The deal also includes the duo’s life rights, according to Deadline. Howell Taylor will produce the film alongside 51 Entertainment’s Samantha Housman and Larson. They will develop the project at Netflix as a starring vehicle for Larson, who is also eyeing the project as her second outing as a director. 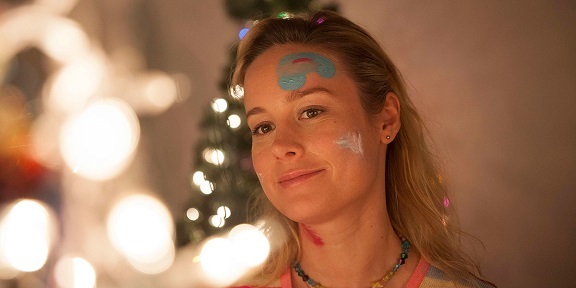 “Unicorn Store” was written by Samantha McIntyre, and stars Larson as a woman who moves back in with her parents and then receives a mysterious invitation to a store that will test her ideas of what it really means to grow up. The film, which features Joan Cusack, Bradley Whitford, Mamoudou Athie, Hamish Linklater and Larson’s “Captain Marvel” co-star Samuel L. Jackson, had its premiere at the 2017 Toronto Film Festival. “It’s not an easy time in the world right now so I hope that, in the old tradition of films being a form of escapism and a way to dream, this film can do that,” Larson said of “Unicorn Store,” per Deadline. Howell Taylor produced “Unicorn Store” under her 51 Entertainment banner along with David Bernad and Ruben Fleischer of The District and Rhea Films’ Terry Dougas and Paris Kasidokostas. The film was executive produced by Jean-Luc De Fanti, Nathan Kelly, Anne Woodward and McIntyre. It was co-executive produced by Kostas Tsoukalas. Along with launching her eagerly awaited “Captain Marvel” franchise in March, followed by her sophomore outing as the superhero April 26 in “Avengers: Endgame,” Larson recently wrapped “Just Mercy” alongside Michael B. Jordan for Warner Bros.
Howell Taylor is nominated for Best Picture alongside Bill Gerber and actor/director Bradley Cooper for “A Star Is Born,” which has grossed $400 million worldwide. The Oscars air Feb. 24.